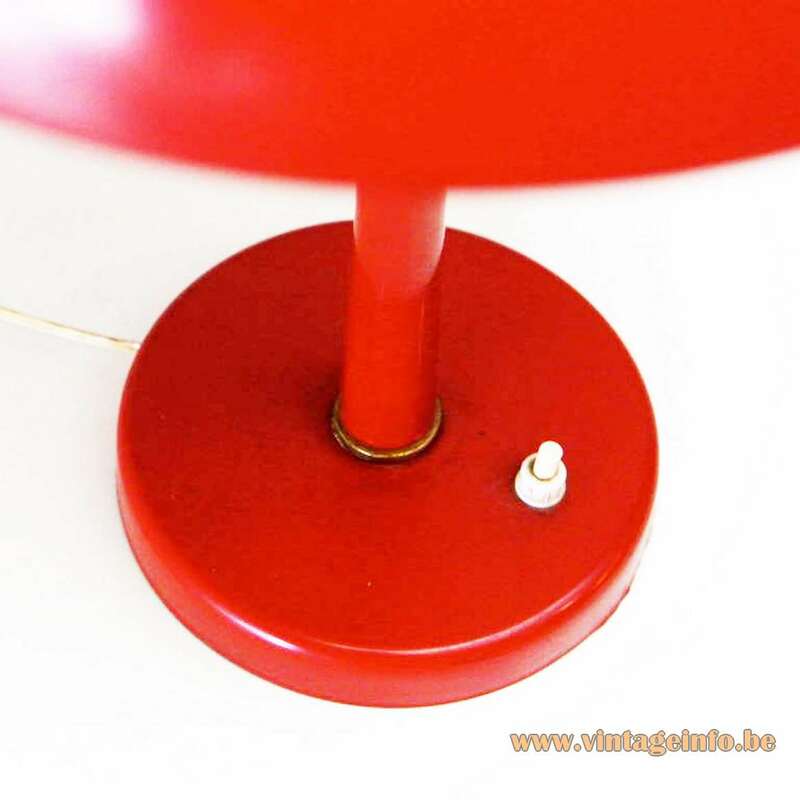 Materials: Red painted iron base and aluminium lampshade with a brass top. 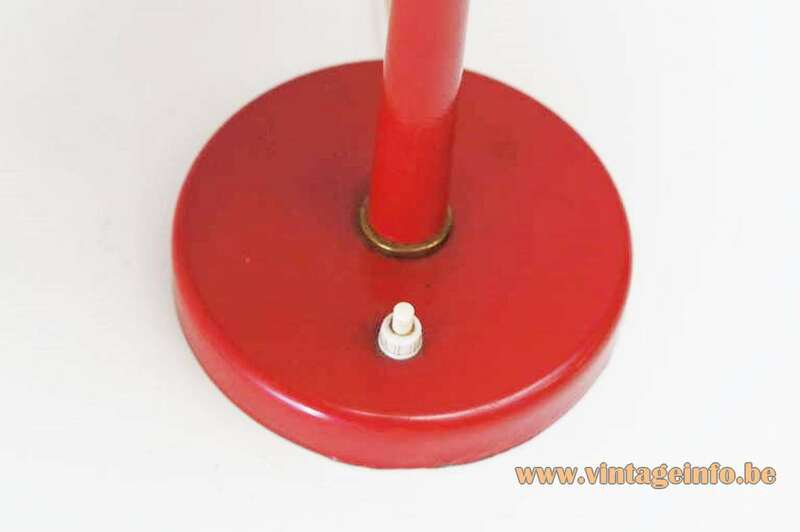 Cast iron counterweight inside the base. Some metal parts. Two white Bakelite sockets. Designer: Lutz Rudolf (1936 – 2011) – attributed. Manufacturer: VEB Leuchtenbau, Lengefeld, Germany. The VEB Leuchtenbau company was founded in 1900 as Wittig und Schwabe Metalldruckwarenfabriken (Metal Printing Factories), Lengefeld. 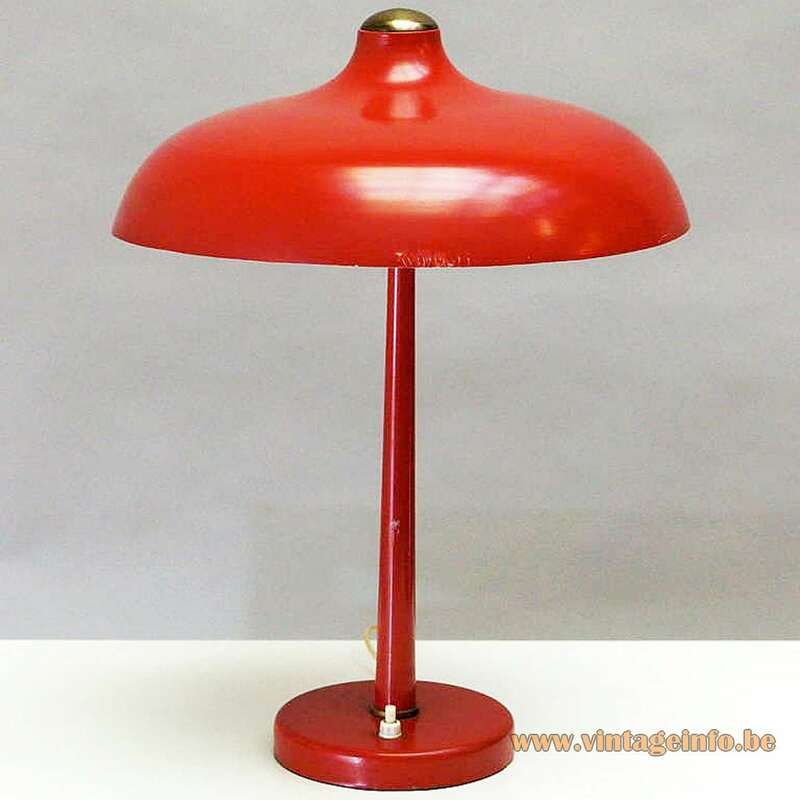 Right after World War II in 1946, the name changed into VEB Leuchtenbau. 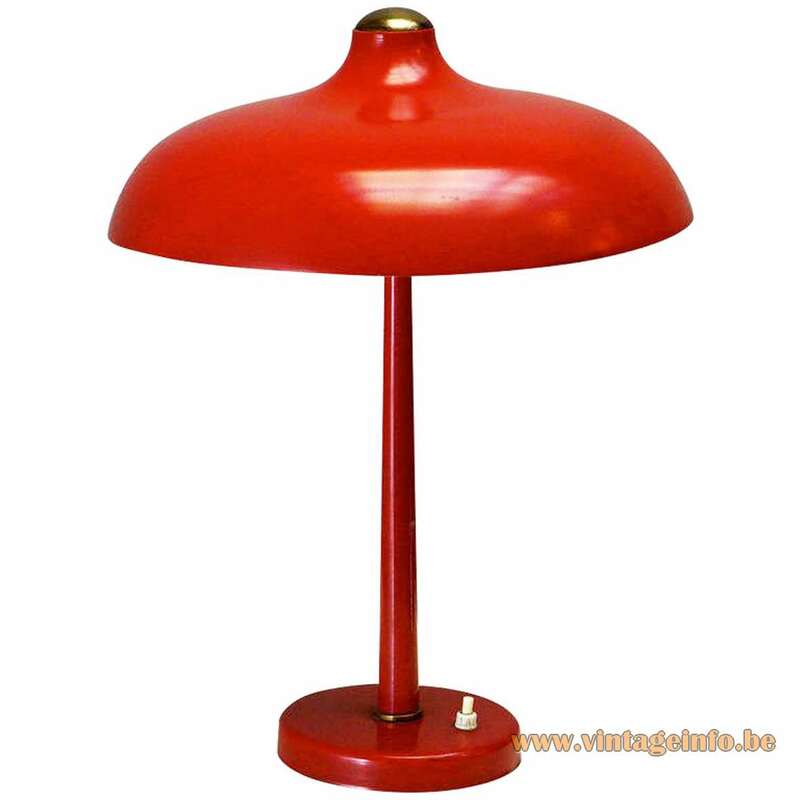 In 1963 they manufactured some 1.5 million lamps, of which 80% were exported. 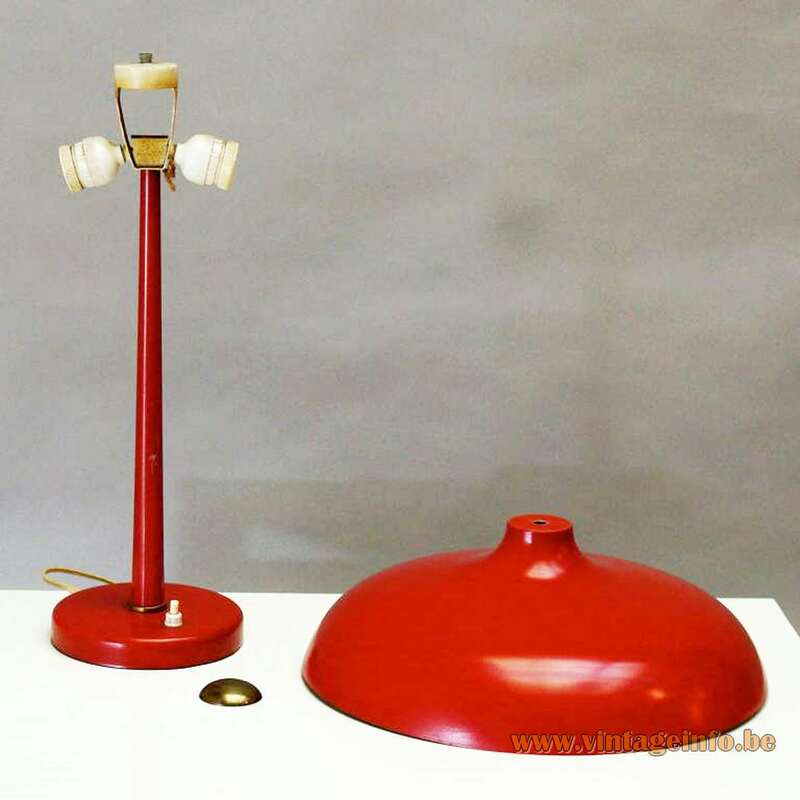 In 1965 they produced 120 different models of lamps. 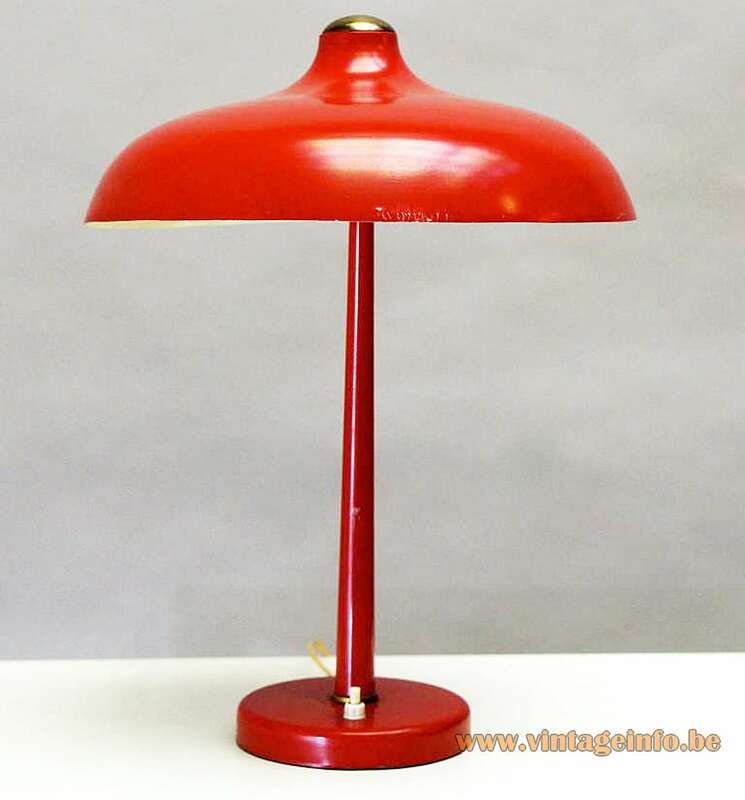 One of the most famous lamps produced by VEB Leuchtenbau is the Kontrast floor lamp, designed by Lutz Rudolf in 1961, when he was 25. The manufacturer himself doubted the success of “this thing” and planned only a small number of pieces.